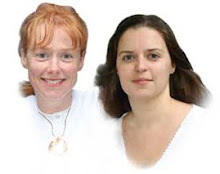 London Angel Healing workshop facilitated by Ascending Angels who provide a very safe, healing space where Ascending Angels connect with and channel Divine Healing light energies to you, sharing words, attunements and blessings from energies such as the Ascended Masters, Archangels, Gods, Goddesses, Universal Light Beings. Suitable for all this healing day will give you the tools and opportunity to heal deep within, cleansing your inner core in a safe, accepting space. Nothing is required by you except to be willing to allow a wonderful transformation to occur. Let your heart, body and soul be touched by Angels. This workshop will be held from 10.30 am to 3 pm at the Light Centre, Belgravia, London.